Try this Caramelised Fig and Burrata Cheese Salad at home or out on the road. It simple, quick and delicious. As a hot tip, try adding a bit of crunch to your salad with some toasted walnuts. Cut the figs in half and press the figs face-down into the caster sugar. Heat a sauté pan until hot and grease with some olive oil. Cook the figs sugar side down for a minute or two until caramelised. 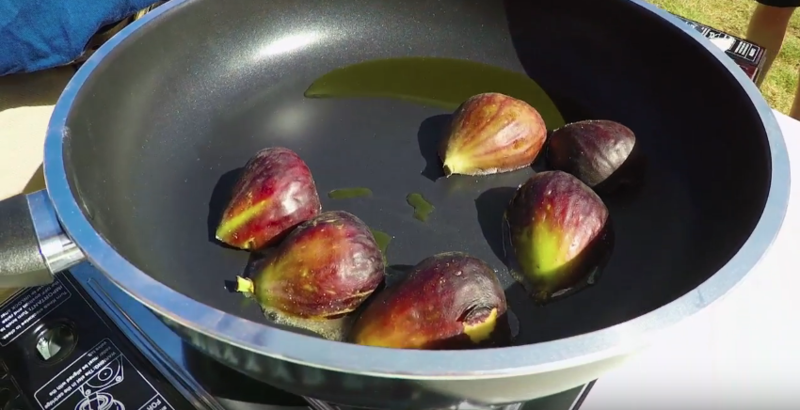 Place figs face side up on top of the mixed salad leaves on a plate and add burrata. Top with a drizzle of olive oil and grate the zest of the lemon on top.